► Windows in the bonnet! 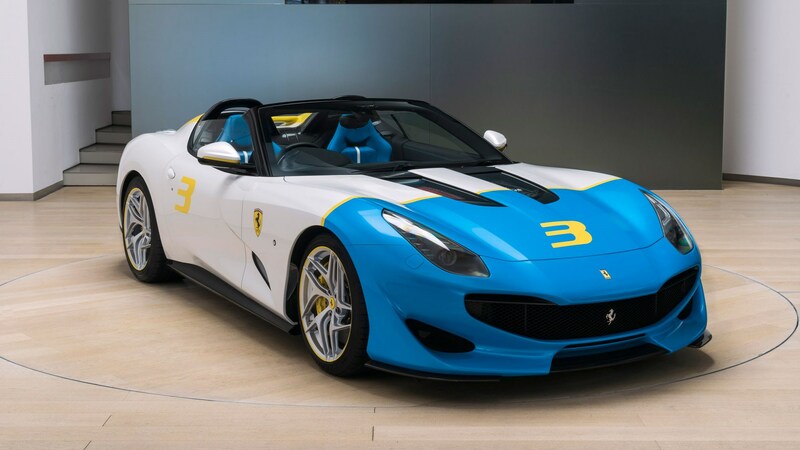 Following the Monza SP1 and SP2, Ferrari has revealed a brand new one-off, called the SP3JC. 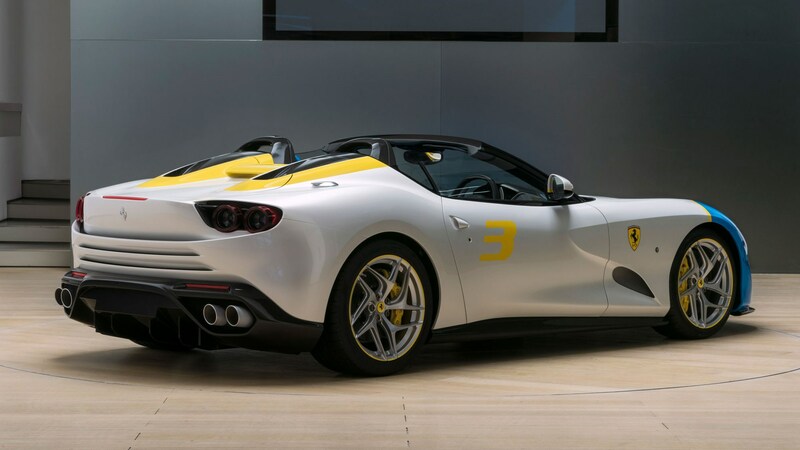 Featuring a hefty front-mounted V12, the new roadster uses the running gear from the Ferrari F12tdf, and is designed to hark back to the brand’s 12-cylinder spyders of the 50s and 60s. This whole resto-mod thing seems to be quite popular now, doesn’t it? 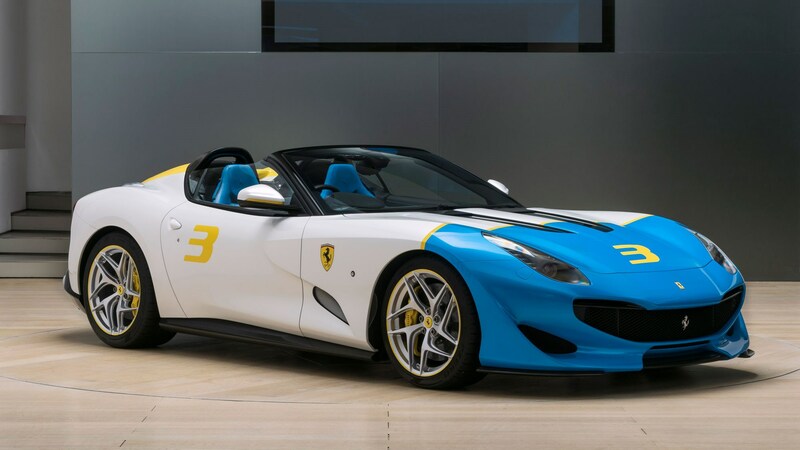 Featuring a similar front-end to the F12tdf on which its based, the SP3JC includes windows on the bonnet to show off its naturally-aspirated powerplant - and at the rear, horizontal slashes give the car a more distinct personality. 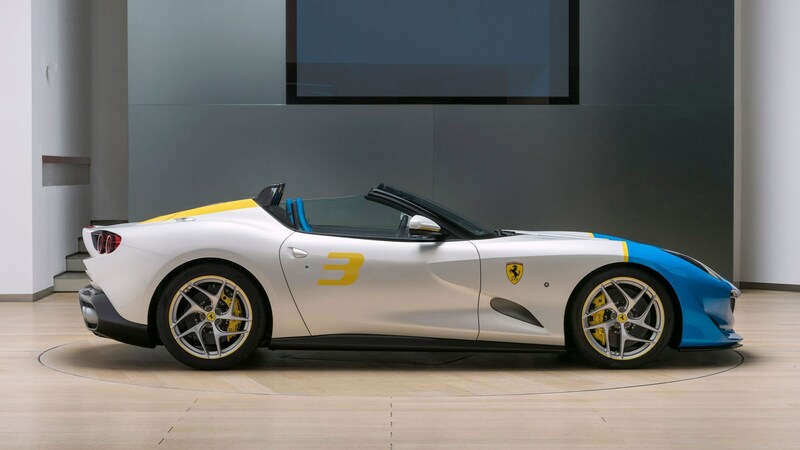 The Ferrari styling centre has added other design flourishes around the car; a flying bridge sits between the carbonfibre roll hoops, while a brushed aluminum fuel filler cap emphasises those 60s roadster stylings. Inside, you’ll find seats trimmed in blue leather with a white insert, and the theme continues to the lower dashboard and contrasting stitching. There’s no performance figures or a price for the SP3JC right now, but if the F12tdf’s anything to go by, expect around 770bhp, and 0-124mph in something like 7.9 seconds.